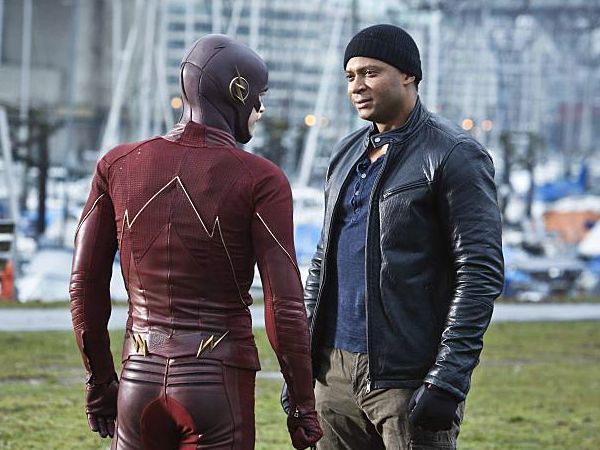 Lila and Diggle arrive in Central City with a warning after King Shark escapes from an A.R.G.U.S. holding tank, setting his sights on taking out the Flash. Meanwhile Cisco worries that Caitlin’s grief could drive her closer to her evil, Earth-2 counterpart, and Barry finds it difficult to bond with a resentful Wally. When King Shark escapes from an A.R.G.U.S. holding tank, Lila (guest star Audrey Marie Anderson) and Diggle (David Ramsey) travel to Central City to warn The Flash (Grant Gustin). King Shark shows up at the West house and attacks Joe (Jesse L. Martin), Iris (Candice Patton), Wally (Keiynan Lonsdale) and Barry. 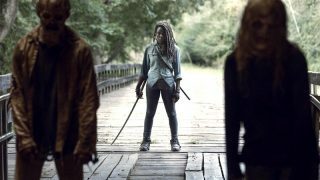 Hanelle Culpepper directed the episode written by Benjamin Raab & Deric A. Hughes (#215).